A collection of daily meditations showing you how to meditate using simple meditation techniques. These short meditations include mindfulness exercises and other effective meditation techniques to suit your day-to-day needs. 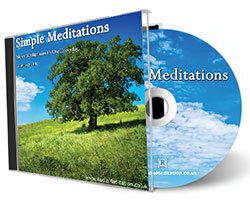 Recommended meditation for beginners and for those who like simple, quick meditations. Simple Meditations will help these important life skills become second nature to you. 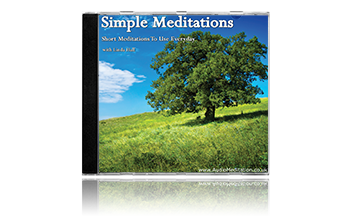 Used regularly, these short daily meditations are a gentle way to re-train your system to access positive states of relaxation and well-being.